Safety Skin provide both a reflective skin spread for visibility in the dark and a sunscreen to protect from harmful UV rays. Both products are kind to the skin and the environment. We pleased to announce that we are the UK distributor for these great innovative products and they are now in stock. 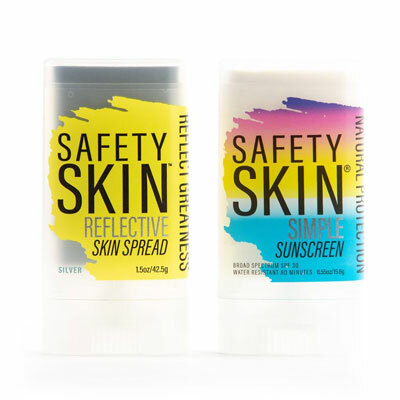 SAFETY SKIN REFLECTIVE SKIN SPREAD - Buy 12 and get a Free tester!